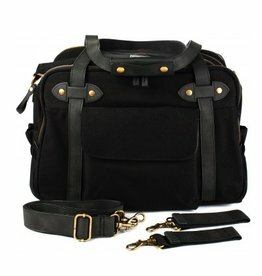 Matt and Nat Raylan Diaper Bag Medium - Vancouver's Best Baby & Kids Store: Unique Gifts, Toys, Clothing, Shoes, Cloth Diapers, Registries. 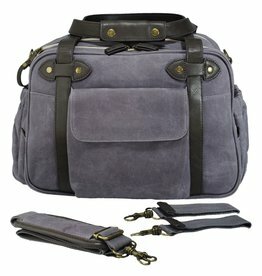 We just love Matt & Nat's Raylan diaper bag. 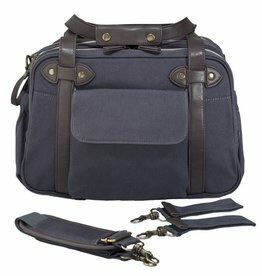 It has two patch pockets in the front, slit compartment for baby bottles and a soft change pad inside. 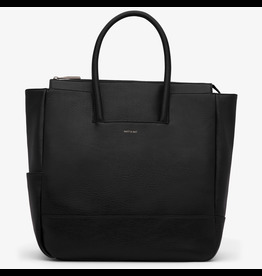 And when your baby grows up you can use it as a computer bag with it's padded compartment for a laptop (up to 14 inches). 19 x 13 x 6.75 inches. *Includes FREE SHIPPING anywhere in Canada.